Within the framework of the environmental respect we study a ginger extract obtained with supercritical fluids and more particularly CO₂. This process joins in an approach of sustainable process replacing the usual chemical solvents by this solvent. A publication of Nicole Giraud and Aymeric Roccia, of DNA GENSEE, and Cyrille Santerre and Nadine Vallet, of ISIPCA. Research for new natural origin ingredients becomes essential nowadays and the use of processes which respect the nature, 'green' and 'soft' processes are also a priority for industries of cosmetics in particular. The development of an 'active'raw material from a plant is complex and requires a number of stages: the selection of the plant, the extraction of the biologically active compound, highlighting the activity, fractionation or purification as well as the identification of one or several molecules responsible for this activity. The presence of DNA in the extract is a consequence of a 'soft' said extraction. To date, this presence in this type of extracts was not highlighted. 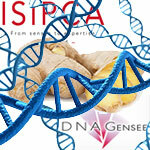 Within the framework of collaboration between DNA GENSEE and ISIPCA, and through this article we shall bring the first elements of answer. 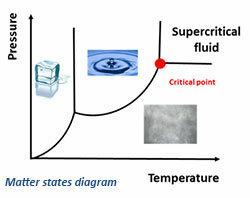 What a supercitical fluid is?